If you are starting to notice ice with a strange smell or color coming from your Kenmore Elite refrigerator, the ice maker tray may need to be cleaned out and the freezer may need some freshening. In a few easy steps, you can make your Kenmore dispense clean ice. Unclean ice is not only unhealthy, but it does not taste appealing in a beverage. 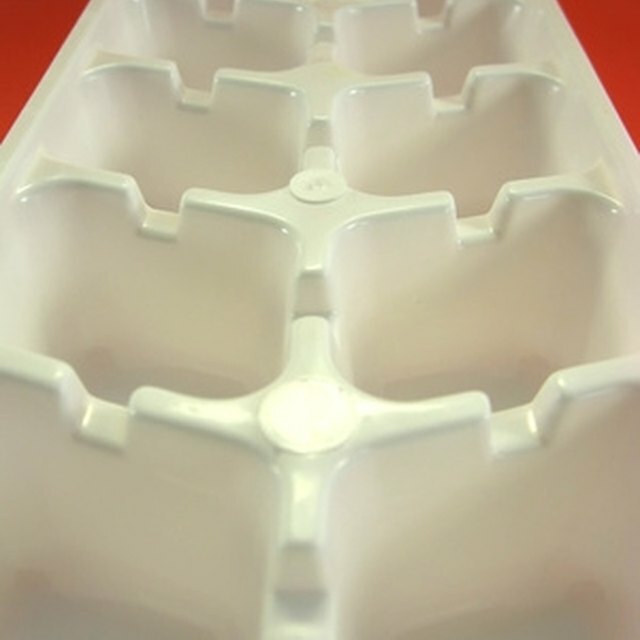 Ensure your ice is clean by periodically cleaning the ice maker tray. Open your Kenmore's freezer and place an open box of baking soda on a shelf. This keeps the freezer fresh at all times. Remove the ice maker's tray by lifting it to unlock it, and then pull it out. Dispose of all ice within the tray. Pour the ice in the sink and melt it with hot water. Clean the ice maker tray with warm water and dish soap on a sponge or rag. Clean it thoroughly as if it is one of your dishes. Rinse and dry the tray fully, and then place it back in the freezer. Melt the discarded ice into a bucket and water plants with it.